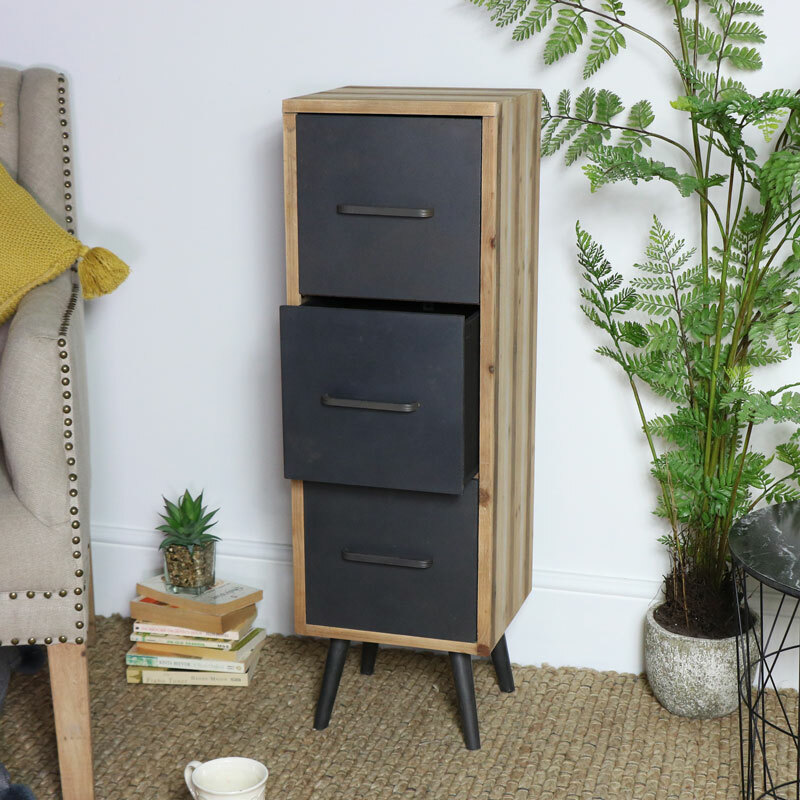 Tall industrial chest of 3 slim but deep drawers. Rustic natural wood look with 3 spacious grey distressed painted drawers add a retro feel. 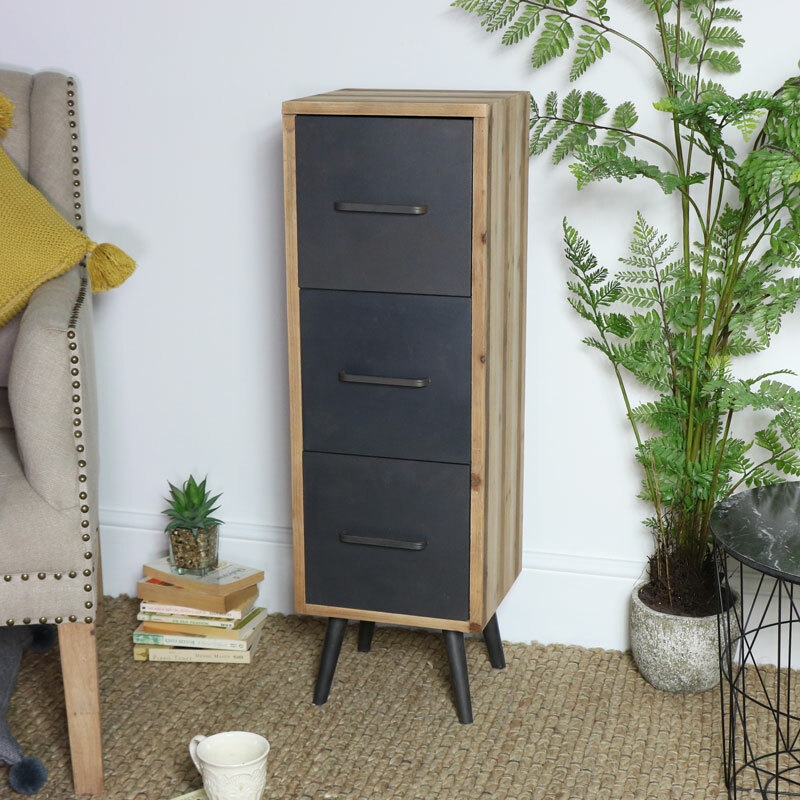 Compact but practical to fit most interiors, from office to bedroom or living room. Finished with a metal handle to complete its look and fully assembled making it easier to slot straight into place. A great addition to our fantastic range of furniture. 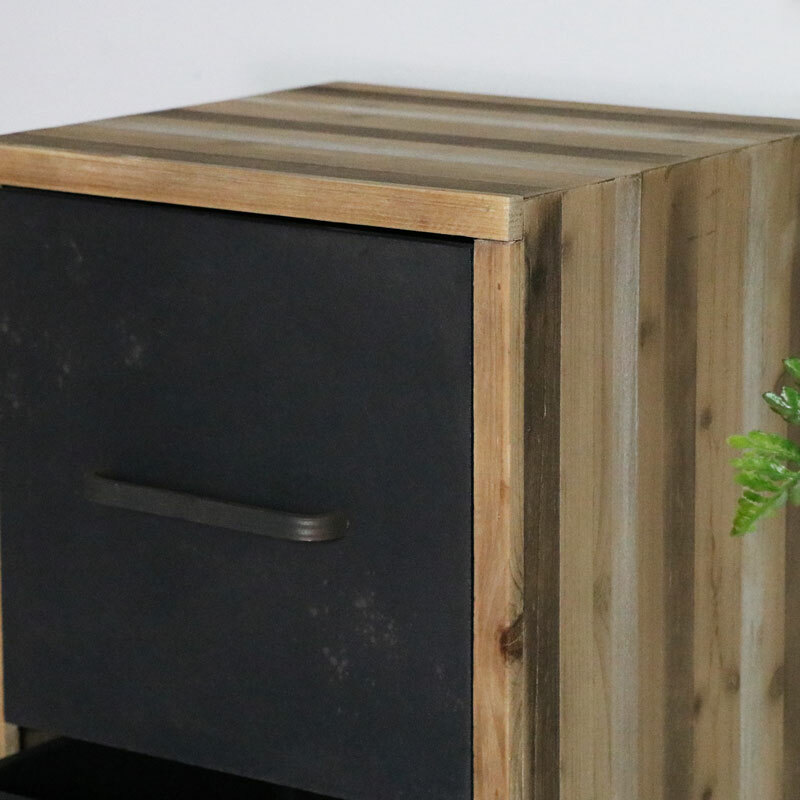 Use as a standalone piece or mix and match with our other rustic, industrial and retro furniture to create a unique, individual look.